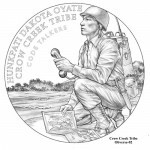 The Citizens Coinage Advisory Committee (CCAC) met on September 21, 2012, at United States Mint Headquarters, to review and discuss designs for the Code Talkers Recognition Congressional Gold Medals for members of the Crow Creek Sioux and Sisseton Sioux tribes. 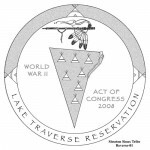 In attendance were Chairman Gary Marks, Heidi Wastweet, Donald Scarinci, Thomas Uram, Jeanne Stevens-Sollman, Mike Ross, Erik Jansen, as was Dr. Jim Adams, senior historian for the Smithsonian Institution National Museum of the American Indian, and Ron Harrigal and Don Everhart from the U.S. Mint. 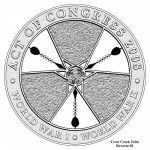 Mr. Everhart was videoconferenced in from the Philadelphia Mint; all others attended in person. 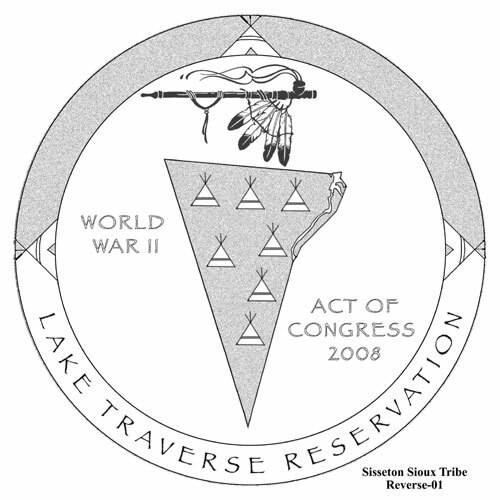 After the designs were presented by Mr. Harrigal, there was a motion from Donald Scarinci for the committee to recommend the preferences of the Crow Creek Sioux tribe: obverse design 1 and reverse design 1. 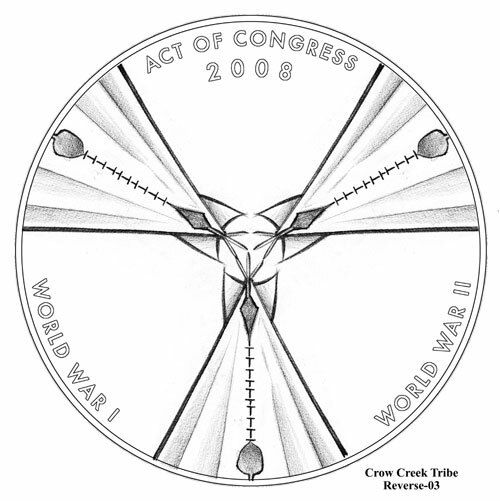 Heidi Wastweet had a question regarding the areas of polish and frost on reverse design 1; she also said that design reminded her of the symbol for toxic waste. 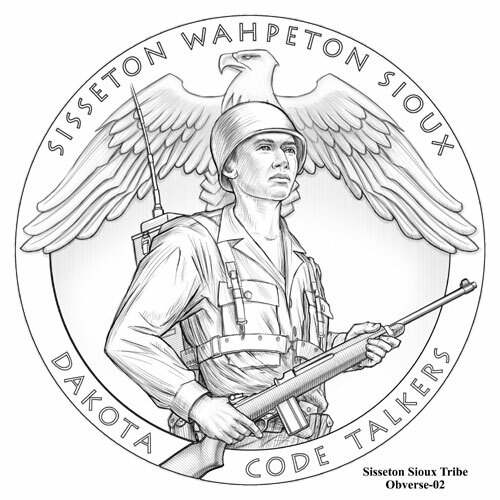 The committee, with a 4-3 vote, approved the motion and by doing so, recommended those two designs for this tribe’s medal. 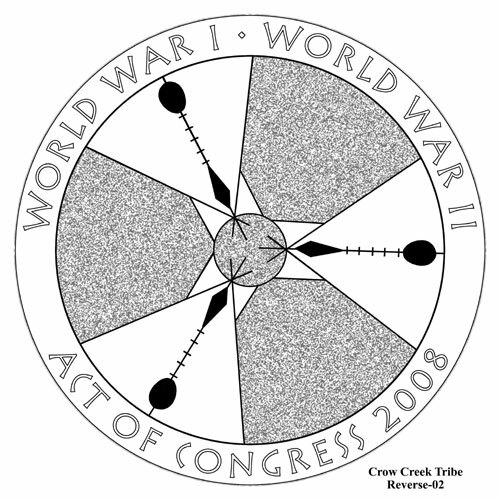 After the vote, Jeanne Stevens-Sollman made a comment, followed by an actual motion, that the phrases “Act of Congress 2008” and “World War I – World War II” should be transposed on the reverse design; the committee unanimously approved that motion. 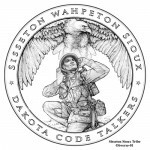 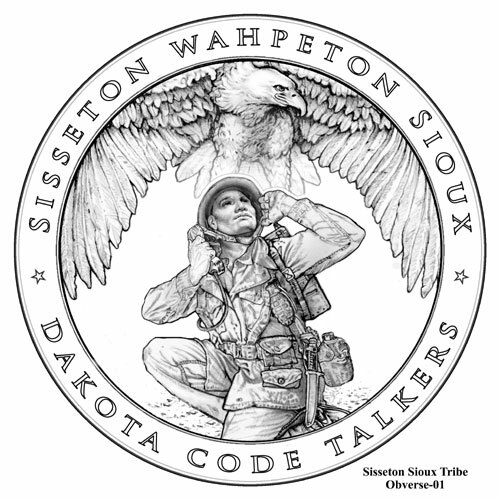 The obverse designs for the Sisseton Wahpeton Sioux created more discussion from the committee. 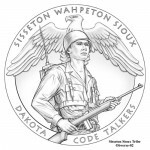 Some, like Ms. Wastweet and Erik Jansen, saw the eagle in obverse design 1 as attacking the soldier, a design element that Ms. Wastweet had also noted had been seen in two previous medal designs. Others, like Ms. Stevens-Sollman and Mr. Scarinci, saw the eagle as sheltering the soldier. 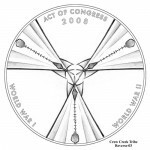 The votes by the committee: obverse design 1 (with 21 points) and reverse design 2 (with 18 points). 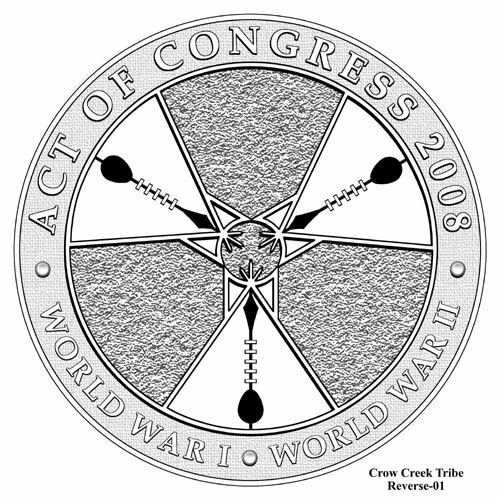 The Commission of Fine Arts also reviewed the design candidates on September 20, 2012. 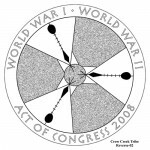 For their comments and recommendations, please refer to this article. 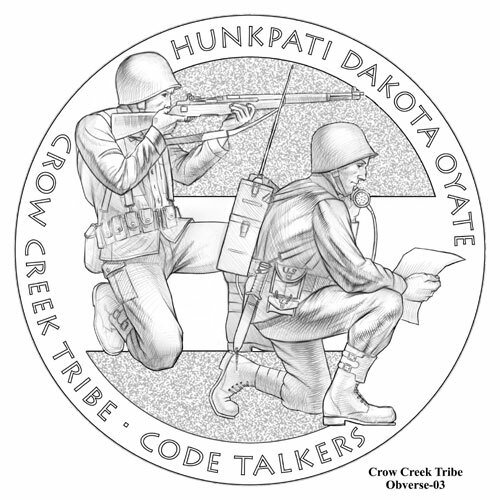 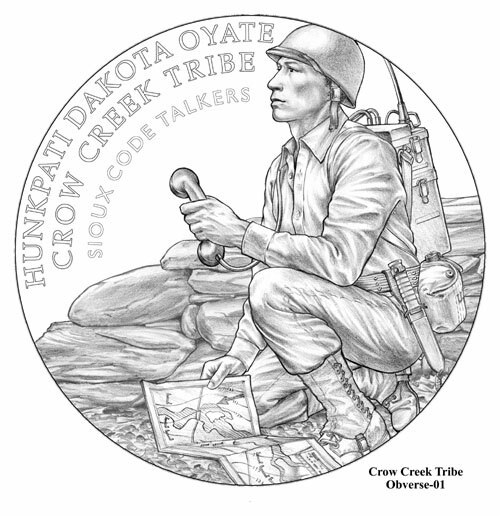 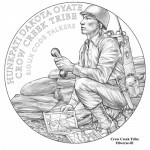 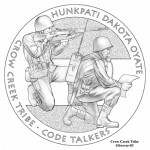 All of the design candidates provided by the United States Mint for the third round of Code Talker Congressional Gold Medals are shown below.